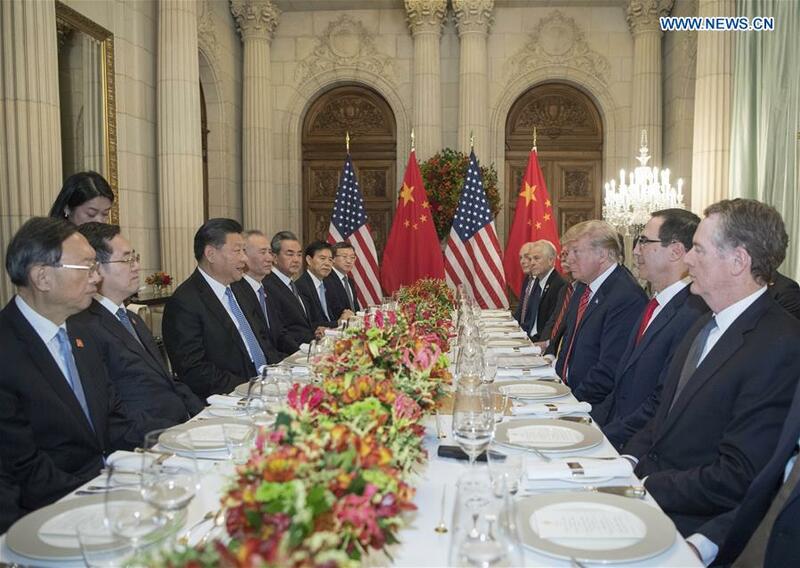 BUENOS AIRES, Dec. 2 (Xinhua) -- Chinese President Xi Jinping and his U.S. counterpart Donald Trump held a "highly successful meeting" here Saturday, reaching important consensus and agreeing not to impose new additional tariffs. 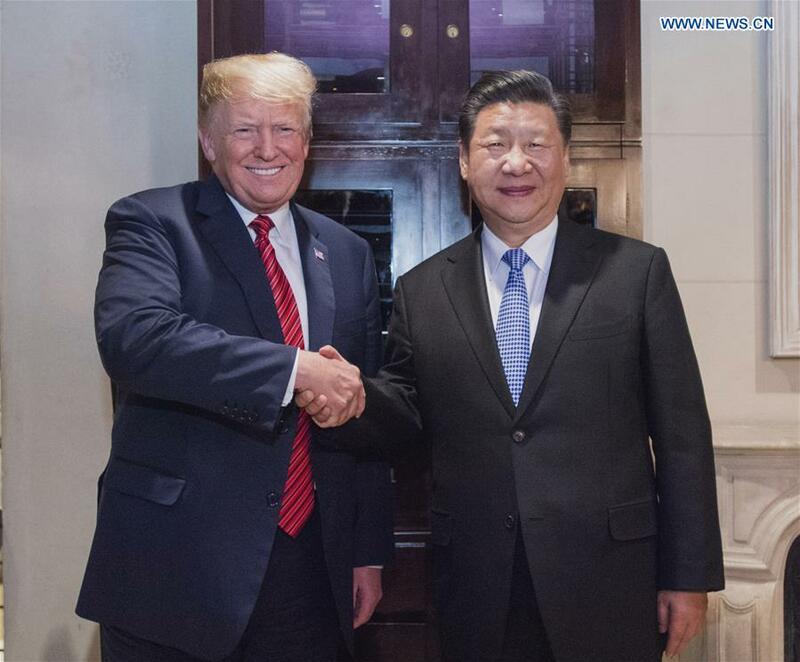 They also agreed to maintain exchanges in various forms to jointly chart the course for the development of China-U.S. relations, and pledged to hold further exchanges of visits at an appropriate time. The meeting lasted for two and a half hours, much longer than planned, said Chinese State Councilor and Foreign Minister Wang Yi at a briefing on the ly-watched Xi-Trump meeting.